Free agency starts tomorrow, and it’s time to see where some of the biggest names in basketball will be playing next year. Let’s jump right into it. Here’s where we see the top 25 free agents going. The sequel is never as good as the original, and you can expect that to remain true with Durant’s second time in free agency. The Finals MVP likes winning, and there’s no better option than Golden State. The real question is how much he’ll be willing to sacrifice to keep key role players like Andre Iguodala and Shaun Livingston. My guess is he’ll accept another one-year deal with a player option in the second season, this time for around $3M less ($33M instead of the $36M max). 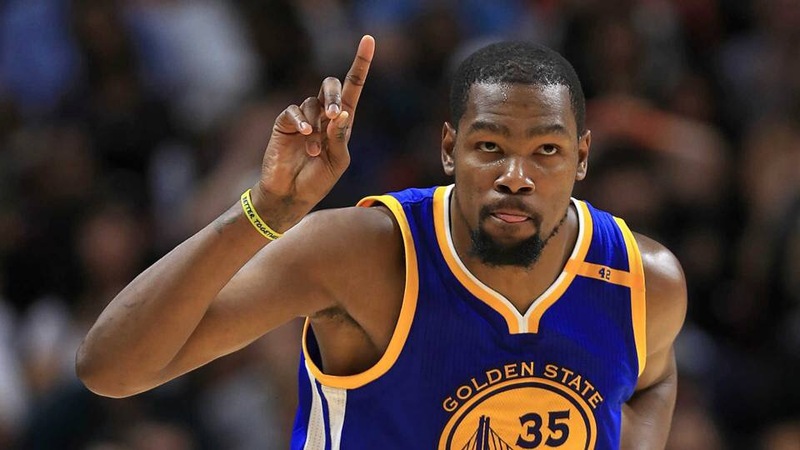 Update: Kevin Durant has signed a two-year, $53M deal with the Golden State Warriors. If you’re a gambling man, Curry re-signing with the Warriors is your safest bet. The two-time MVP needs to shed that insulting $12M deal and get paid, and Golden State is prepared to give him a five-year deal – something no other team can offer. The deal is expected to pay $35M a year and will increase to $45M by the fifth. Do I really need to explain why he’d take that money and stay on a dynasty-in-the-making? 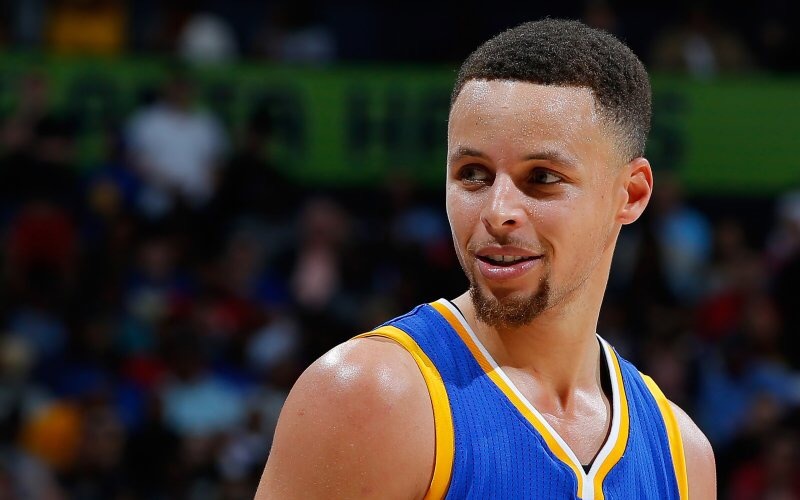 Update: Steph Curry has signed a five-year, $201M deal with the Golden State Warriors. There are two teams with a real chance of landing Gordon Hayward this offseason: Boston and the Celtics. Seriously, this has been a long time coming. Boston needs one more star to truly compete with the Cavaliers in the East, and Hayward has always maintained that he’d like to play for his college coach, Brad Stevens. The Celtics still want Paul George in some sort of trade, but signing Hayward is the first thing on their to-do list. 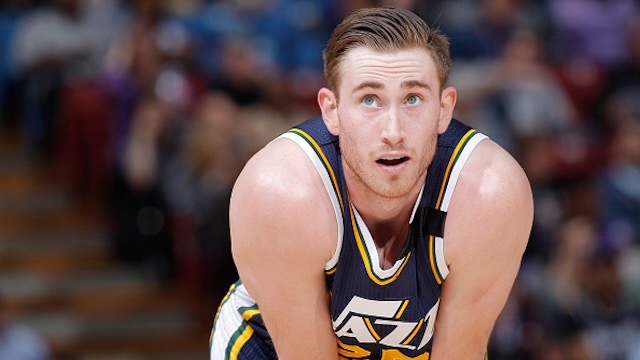 Update: Gordon Hayward has signed a four-year, $128M deal with the Boston Celtics. Blake Griffin has a chance to pull a Russell Westbrook this offseason and stay loyal to the Clippers after Paul’s departure. It’s certainly the noble thing to do, but I don’t see it happening. Redick is most likely gone as well and the team is a shell of their former selves, which wasn’t good enough to make the Conference Finals in the first place. I like Miami’s chances of landing the 28-year old. Whiteside could use a front court partner with a mid-range game and Goran Dragic can run a mean pick and roll. Sorry, Los Angeles. The window is officially closed. 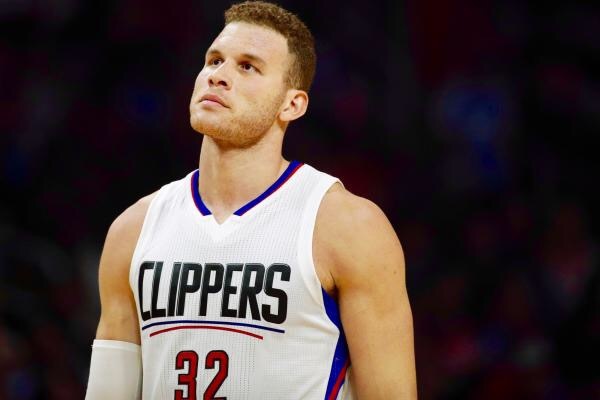 Update: Blake Griffin has signed a five-year, $173M deal with the Los Angeles Clippers. Both Lowry and Toronto GM Masai Ujiri are claiming that the star point guard has full intentions of staying in The Six. 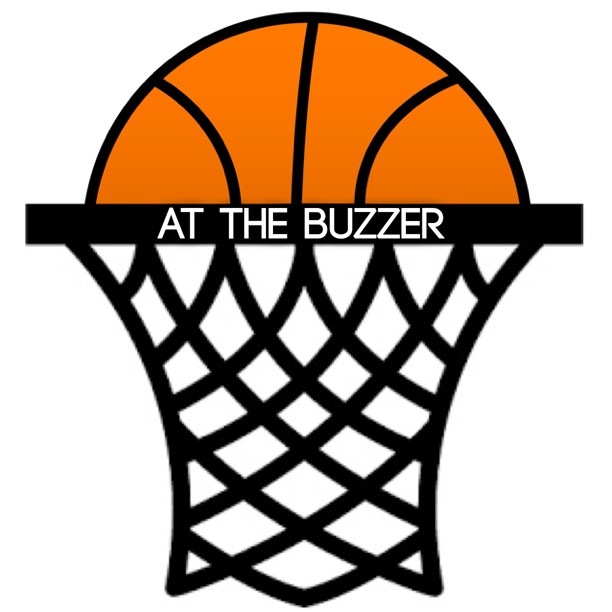 Suitors like Brooklyn, Philadelphia and Sacramento all improved their backcourt via trades and the draft, and Minnesota seems to be more focused on signing Derrick Rose (although I don’t know why). Another option was a reunion with Houston, but that’s out the window now that Paul has been dealt to the Rockets. 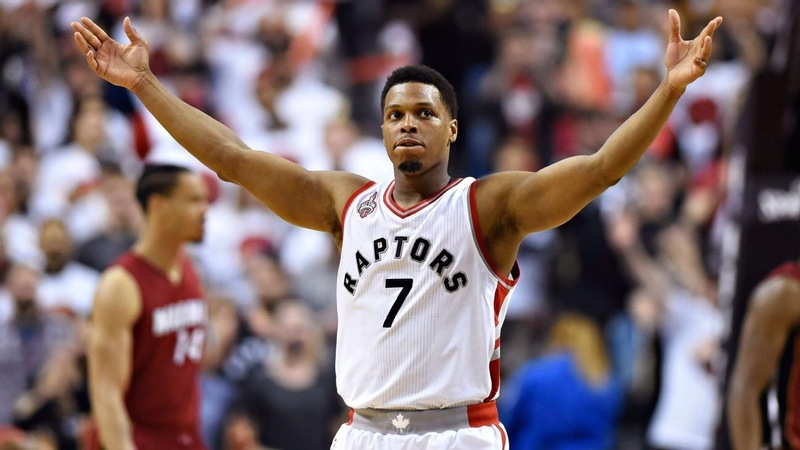 It’s an anticlimactic resolution for the best available point guard this offseason, but it looks like Lowry will be staying put. Update: Kyle Lowey has signed a three-year, $100M deal with the Toronto Raptors. 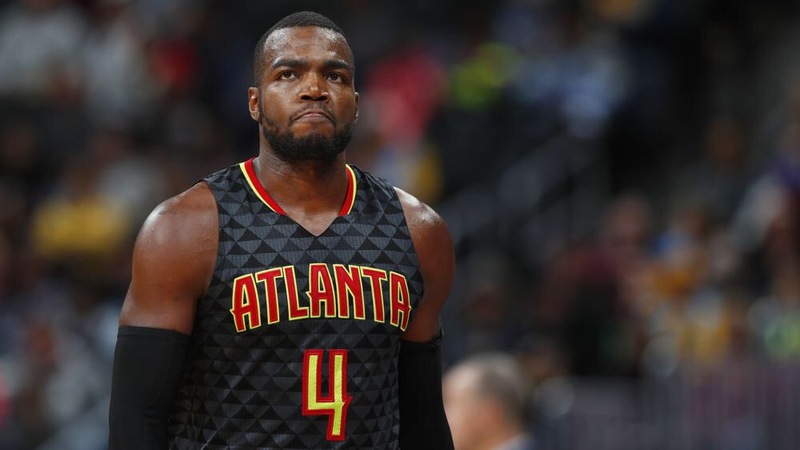 Paul Millsap is the last thing standing between Atlanta and the reset button, and it’s looking like the Hawks are ready to start fresh. With Jeff Teague, Kyle Korver, DeMarre Carroll and Al Horford gone, there’s really nothing left from the 2014-2015 Hawks squad that won 60 games and claimed the 1st seed in the East. Millsap still wants to win, and that won’t happen in Atlanta. I like the fit in Denver where he’ll play alongside Nikola Jokic and be surrounded by young talent like Gary Harris and Jamal Murray. Update: Paul Millsap has signed a three-year, $90M deal with the Denver Nuggets. The Raptors didn’t give up Terrence Ross and a first-round pick for a one-year rental. I expect Ibaka to be one of the quickest signees this offseason. I wouldn’t be surprised if they signed him within the first minute after midnight. It’s looking like $20M a year is the sweet spot, and Raptors GM Masai Ujiri will make it happen. 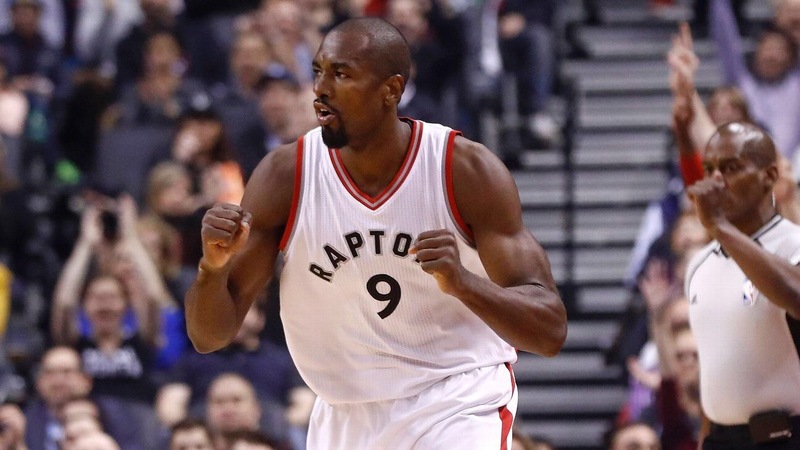 Update: Serge Ibaka has signed a three-year, $65M deal with the Toronto Raptors. The Wizards didn’t flinch when it came time to paying Bradley Beal last offseason, and I expect the same swift process with Porter. His length and superb three-point shooting will make him a hot commodity this offseason if they don’t ink a deal right away. Washington finished last season as hot as any team in the league, and they have a chance to be a top-three team in the East this year if they can bring their core players back and improve the bench. Giving Porter a max contract, most likely for five years, is step one. 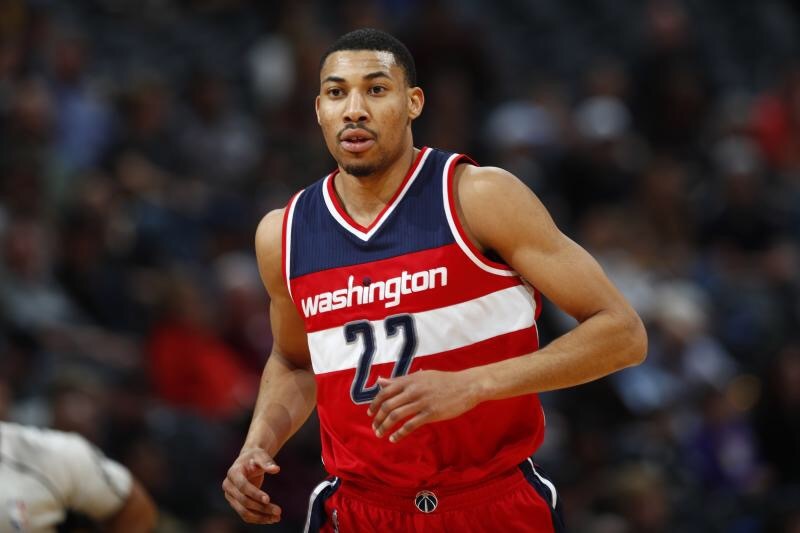 Update: Otto Porter Jr. has signed a four-year, $106M deal with the Washington Wizards. The Nuggets have too many stretch 4s after trading for Trey Lyles and drafting Tyler Lydon, so it makes sense that they’d part ways with the oldest and most expensive one, and that’s Gallinari. They’d also need to lose his contract if they want a real shot at landing a player like Paul Millsap or Blake Griffin. I don’t think Gallinari will be too upset though. He told Premium Sports Radio that Denver is not his first choice this offseason. I’m looking at Brooklyn as a possible landing spot. The Nets really have no reason to tank anymore because they still owe Boston a 2018 unprotected first-round pick, so why not add a stretch 4 with veteran leadership to a team that just lost their best player in Brook Lopez? Brooklyn is going to shell out big bucks to someone this offseason. Why not Gallinari? 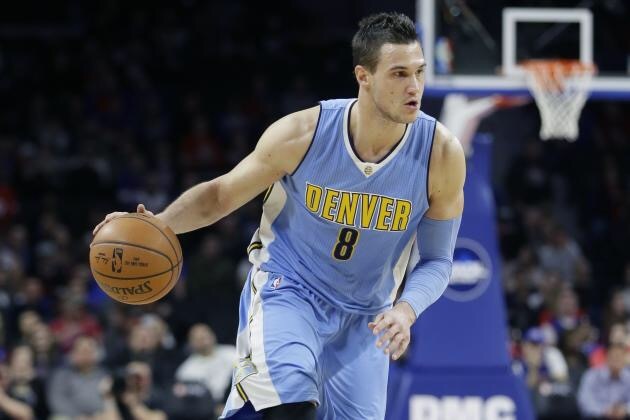 Update: Danilo Gallinari has been traded to the Los Angeles Clippers as a part of a three-team deal that sends Jamal Crawford, Diamond Stone and Los Angeles’ 2018 protected first-round pick to Atlanta. ESPN’s Marc Stein reported that the Jazz are among the top teams that have expressed interest in Minnesota’s Ricky Rubio. That doesn’t bode well for Hill’s time in Utah, and he’d become one of the better guards available is he decided to look elsewhere. I do expect Rubio to end up in Utah one way or another because I like the fit, so now it’s just a matter of finding a landing spot for Hill. Well why not Minnesota? Hill provides more scoring power than Rubio, and he’s a great option to run the floor with Butler and Wiggins. I know that head coach Tom Thibadoeu has his eye on Rose, but Hill is really a better fit in the system. 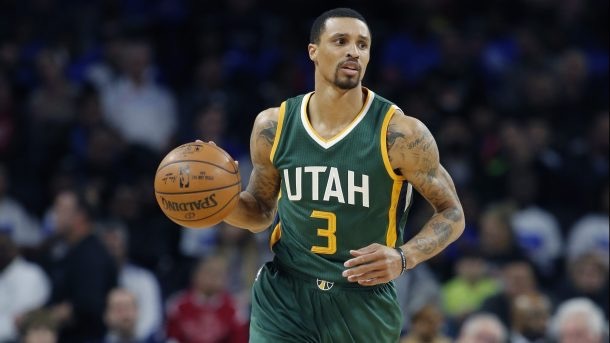 Update: George Hill has signed a three-year, $57M deal with the Sacramento Kings. The Pelicans have the best front court in the league with DeMarcus Cousins and Anthony Davis for whatever that’s worth. But the league has changed, and you need strong play out of your guards if you want to win. Holiday is a must-get if you’re New Orleans because of this, and ESPN’s Brian Windhorst said that they’re prepared to spend. It’s probably going to take $30M to bring him back, and that may sound absurd, but the league has become full of absurd contracts like that. Holiday will get his money and the Pelicans will keep their only real guard that they have left. 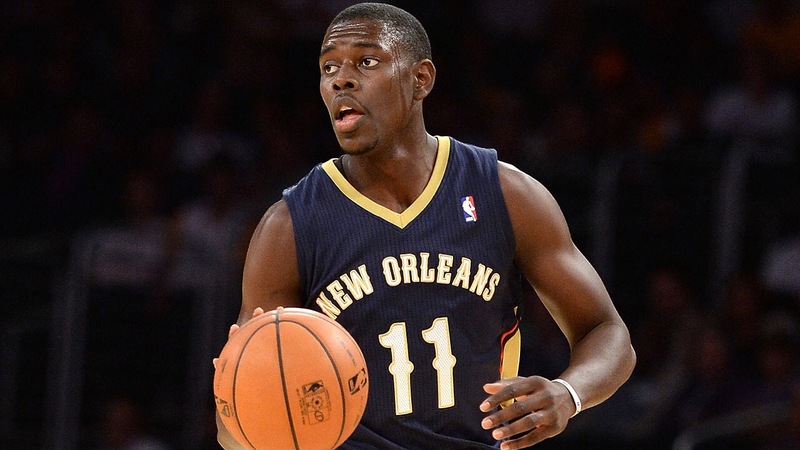 Update: Jrue Holiday has signed a five-year, $126M deal with the New Orleans Pelicans. 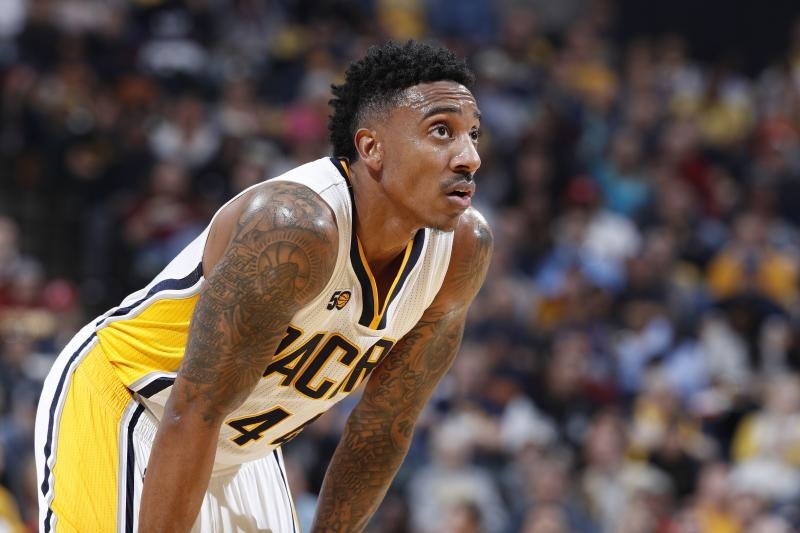 Jeff Teague hasn’t been shy about expressing his unhappiness in Indiana, and with Paul George looking to be half-way out the door, who can blame him? I could see him playing for Orlando. Their backcourt needs help, and it’s unlikely that they’ll be able to land one of the better free agent guards like Lowry, Hill or Holiday. Teague won’t be No. 1 on Magic’s list, but the former all-star is a good consolation prize. Update: Jeff Teague has signed a three-year, $57M deal with the Minnesota Timberwolves. Iguodala still has plenty of value in this league. ESPN’s Chris Haynes claimed that no fewer than seven teams plan to pursue him this offseason. The Spurs make a lot of sense now that the pursuit of Chris Paul is over and a deal for Paul George/Carmelo Anthony looks unlikely. San Antonio needs some bench help at the small forward spot. We all saw what happened to them when Kawhi Leonard went down in the Western Conference Finals. Having the former NBA Finals MVP as a backup is good insurance, and Iguodala is a perfect fit in their system. HOWEVER, he isn’t going anywhere. Kevin Durant will restructure his deal and take less, allowing the Warriors to keep Iguodala and most likely Shaun Livingston as well. 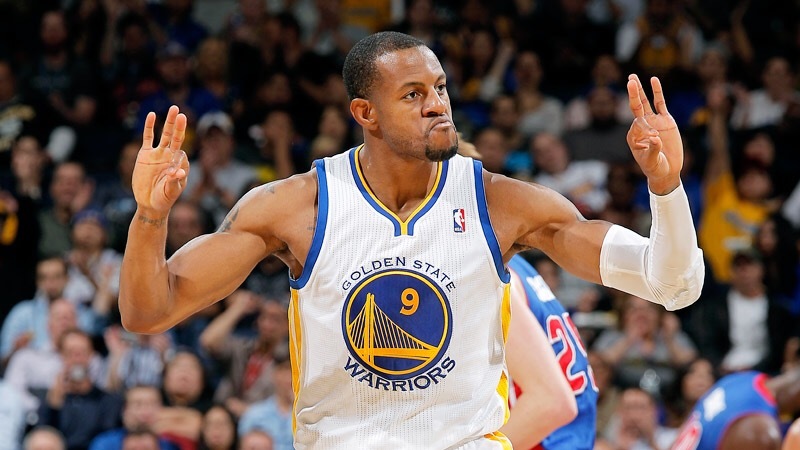 Update: Andre Iguodala has signed a three-year, $45M deal with the Golden State Warriors. 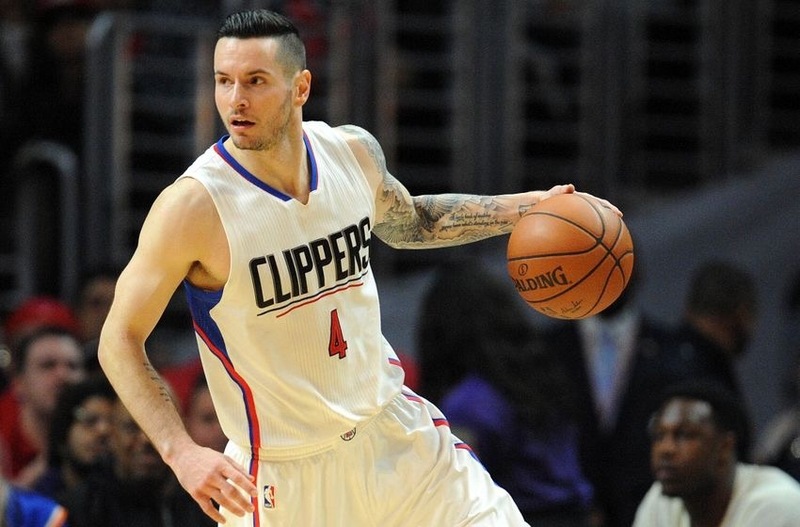 J.J. Redick is not playing for the Los Angeles Clippers next year. I’d like to make that as clear as I possibly can. According to The Ringer’s Kevin O’Connor it appears that Philadelphia and Brooklyn have emerged as the top suitors. The 76ers make the most sense. They’re a young, promising team that lacks two things: Three-point shooting and, outside of Jerryd Bayless, veteran leadership. Redick checks off both those boxes, and the 76ers have the money to offer him something in the neighborhood of $60M over three years. That should be enough to make Redick trust the process. Update: J.J. Redick has signed a one-year, $23M deal with the Philadelphia 76ers. Caldwell-Pope keeps getting better. The 24-year old shot a career-best 35 percent from three this past season, and his superb defense makes him a great two-way option for the future. 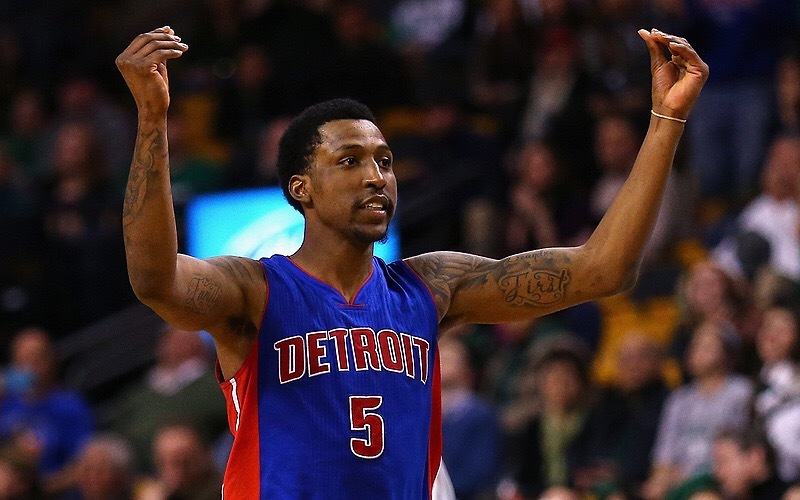 Every team needs someone like KCP, and Detroit will have to offer him nothing short of a max contract to keep him. I expect the Pistons to make him their top priority this offseason, and they’ll get the deal done. I don’t think we can be friends if you don’t like Dirk Nowitzki. The 19-year veteran is the best international player this league has ever seen. His ability to get a shot off no matter the coverage is what made him impossible to guard in his prime. Sure, the 39-year old’s stats have gone down the past few years, but can Dallas really be upset when he’s constantly restructuring his deal to take less money and give the Mavericks extra wiggle room in free agency? Dirk’s contract is up, and I expect him to give Dallas another discount. Let it be known, I appreciate you, Dirk. 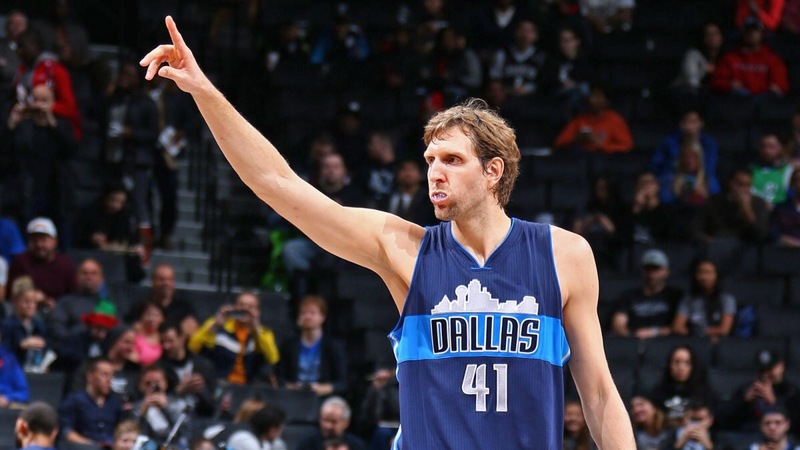 Update: Dirk Nowitzki has signed a two-year, $10M deal with the Dallas Mavericks. Scout.com’s Mike Fisher reported that “multiple” teams are poised to offer Nerlens Noel a max contract this offseason (crazy, right?). 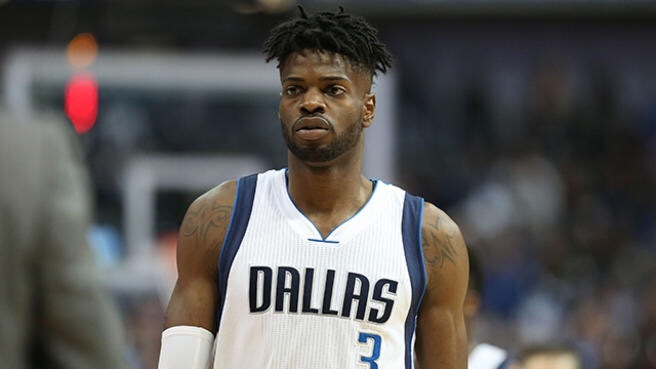 After securing their point of the future in Dennis Smith Jr., it looks like re-signing Noel has become Dallas’ top priority this offseason. I’m sure the Mavericks aren’t ecstatic about shelling out max-contract money for an unproven, injury-prone player, but it’s looking like that’s what it’ll take to keep him. Nowitzki will restructure his deal and take less like he always does, giving them plenty of room to offer Noel a max. Every team seems to get better once they part ways with Rudy Gay. The Grizzlies went on to upset the No. 1-seeded Spurs after he left, and Toronto soared all the way to the No. 2 seed. Gay’s production continues to dip, but the 30-year old still makes for a decent signing option thanks to his strength and athleticism. Oklahoma City needs that at the small forward spot, and they’d shouldn’t have to shell out anything near max-contract money. Fingers crossed Gay can just stay healthy. 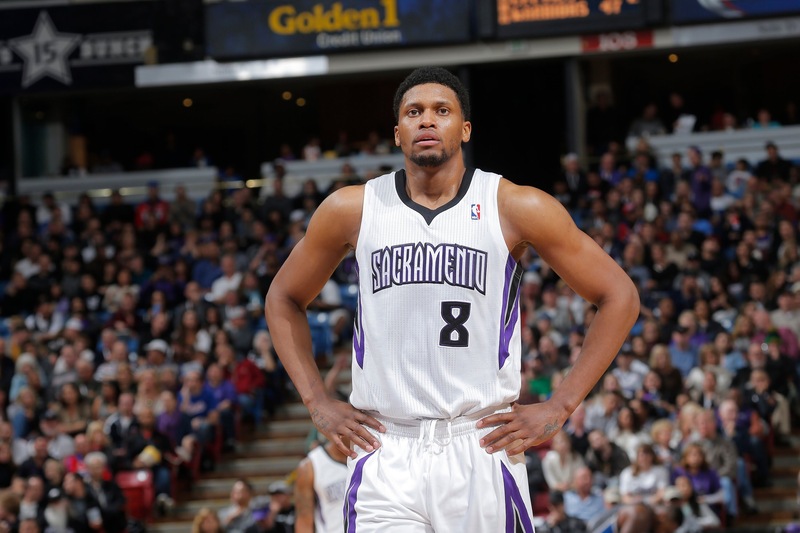 Update: Rudy Gay has signed a two-year, $17M deal with the San Antonio Spurs. Dion Waiters certainly isn’t the best available free agent this offseason (although he may think he is), but the 25-year old did shoot an above-average 39 percent from three. A player who averages 16 points per game will always have value in this league, and the Pacers will need all the scorers they can gather this offseason as they prepare for the departure of Paul George. 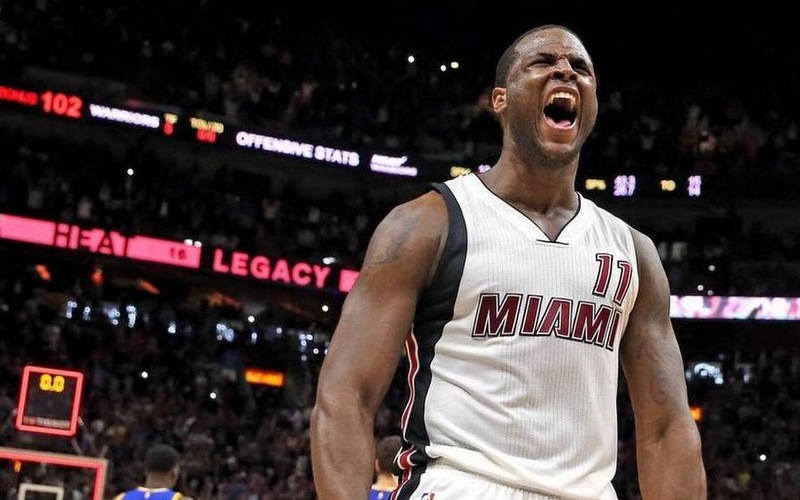 Indiana can give Waiters a green light unlike Oklahoma City and Miami, and that’s really all the self-proclaimed super star is looking for. Taj Gibson’s best years are clearly behind him. Teams are justified in being hesitant to offer the 32-year old a long-term deal, but his willingness to take discounts will make someone take the bait. In addition to a polished set of skills in the paint, Gibson also provides veteran leadership. The Lakers need plenty of that, and Julius Randle hasn’t had the luxury of learning under a good mentor. 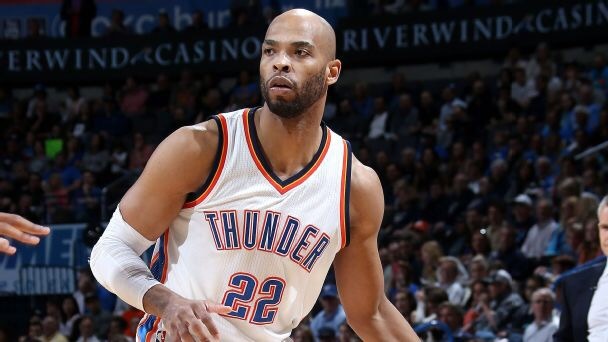 Update: Taj Gibson has signed a two-year, $28M deal with the Minnesota Timberwolves. Patty Mills’ fate this offseason is a tricky one. His three-point shooting and ability to be a floor general is what makes him such a good option for teams, but his lack of size and physicality makes him a backup on any team that decides to give him a shot. It’ll be interesting to see just how much money teams are willing to fork over for a non-starter, but if there’s one team that needs help off the bench, it’s Washington. The Wizards’ lack of depth cost them a trip to the Eastern Conference Finals last year. Their bench provided a whopping five points compared to Boston’s 48. Mills can change that. 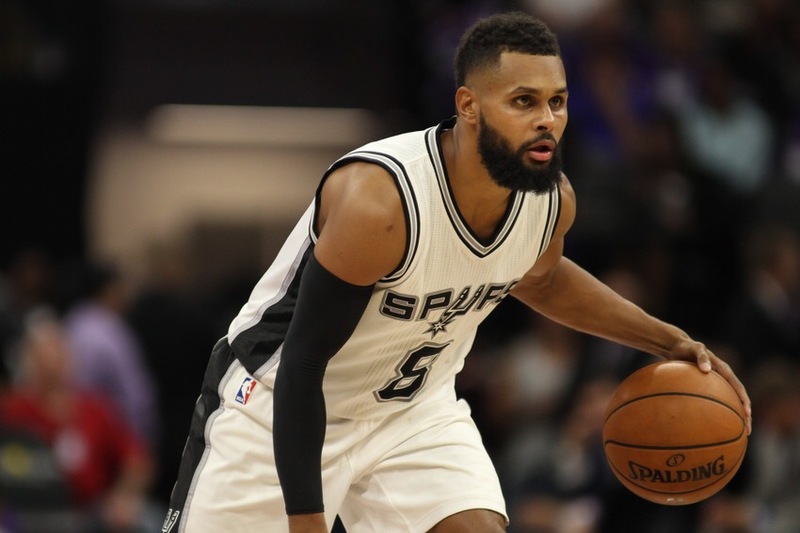 Update: Patty Mills has signed a five-year, $50M deal with the San Antonio Spurs. Green is a great example of what teams are looking for in the modern era of basketball. His three-point shooting, finishing skills and ability to guard virtually anyone on the court has a lot of value. 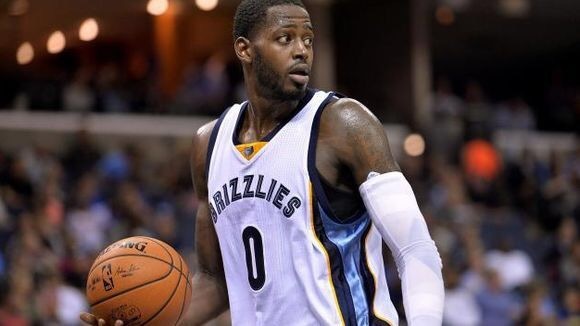 Memphis would love to keep him, but their limitations on cap space could prevent them from competing with offers from other teams. Minnesota could use a stretch four like Green to complete their offseason flurry. Gorgui Dieng is really a better fit coming off the bench, and Green would flourish alongside Butler, Towns and Wiggins. The Cavaliers’ only goal right now is to build a roster that can compete with the Warriors. Korver’s elite three-point shooting is still crucial to acheiving that, and Cleveland isn’t about to let him go play for anyone else. Prediction: Re-signs with the Cleveland Cavaliers. 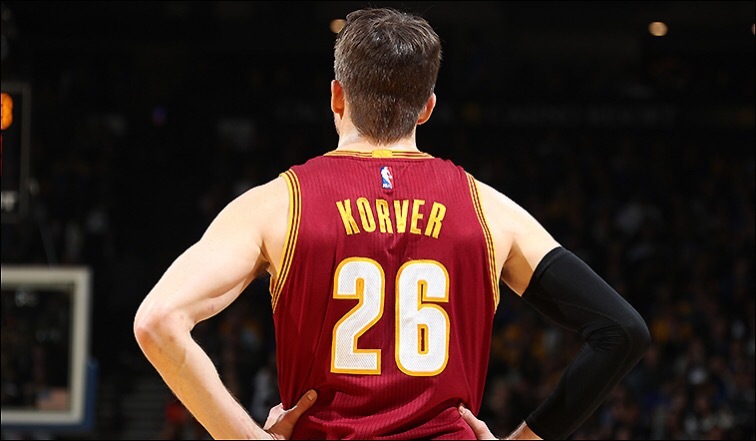 Update: Kyle Korver has signed a three-year, $22M deal with the Cleveland Cavaliers. Last season was a year to forget for Knicks fans. The whole Phil Jackson era is one to forget as a matter of fact. But one positive that’s been overshadowed by all the disappointment and controversy was Rose’s play. The former MVP averaged 18 points per game – the most since 2012. 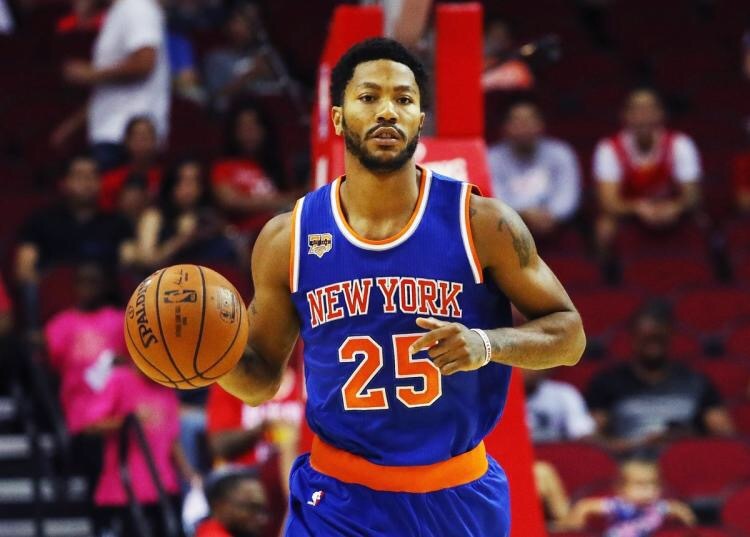 Sources say that the Knicks have “legitimate” interest in re-signing Rose, and with Jackson gone, Rose could be willing to give it one more go in New York. Prediction: Re-signs with the New York Knicks.